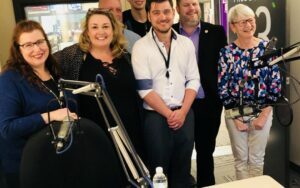 A new radio show focused on philanthropy came by its name honestly last month, when it invited the President and CEO of The Foundation (WCPD) on for a segment to discuss the company’s contributions to the local community. 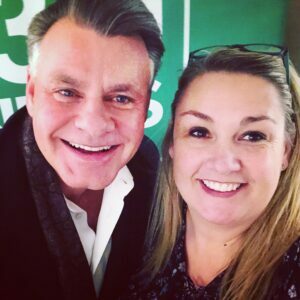 “An Hour To Give”, which airs on 1310 News every Saturday and Sunday, spoke with Peter Nicholson on Dec 29th about his more than 30 years in business. 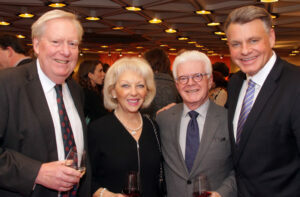 “You have an incredible reputation here in Ottawa,” said Sam Laprade, a well-known professional fundraiser in Ottawa and host of “An Hour To Give”. 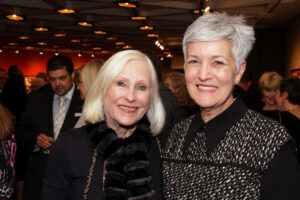 From the Philanthropy Awards, to the Giving Guide, to The Foundation’s new networking series for women, Laprade asked Nicholson why it is so important for him to be philanthropic and give back to the community. “I have that bug,” Nicholson said. You can listen to the full podcast with Sam Laprade and Peter Nicholson here. 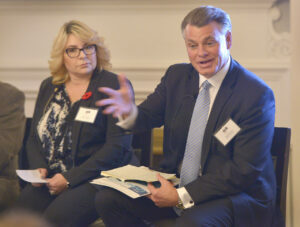 On November 8, Business in Vancouver presented a Business Excellence Series Panel discussion focused on the topic of strategic wealth management at the Vancouver Club. The expert panel included Peter Nicholson, CEO of the WCPD Foundation, Elyssa Lockhart, Partner, McQuarrie Hunter LLP, Trevor Radford, Portfolio Manager, Leede Jones Gable and Fred Snyder, senior vice president of Mackie Research Capital Corp. Together they answered questions on topics such as portfolio management, the importance of having financial objectives and philanthropic tax planning. 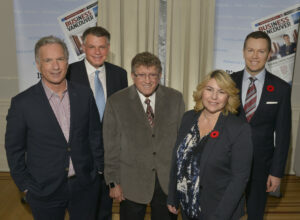 The discussion was moderated by Kirk LaPointe, editor-in-chief of Business in Vancouver and vice president of editorial at Glacier Media. The day before, at AFP’s 2018 National Philanthropy Day Luncheon, Nicholson was on hand for the unveiling of the first ever Vancouver Giving Guide. With The Foundation (WCPD) serving as Title Sponsor, the new, annual publication brings professional fundraisers, non-profits, business leaders and philanthropists together in one engaging magazine. BY: Caroline Phillips, Ottawa Business Journal. Every day, there are business leaders and ordinary people who are “quietly and conscientiously” working behind the scenes to make our city a better place to live. They give of their time, money and/or expertise, expecting nothing in return, and certainly not a prestigious award from the Ottawa chapter of the Association of Fundraising Professionals. Joel Haslam, producer and host of CTV Ottawa’s Regional Contact, knocked it out of the park as the evening’s informative, thoughtful and witty emcee. When Outstanding Individual Philanthropist recipient Mike McGahan took to the stage — seven award presentations later — he emotionally described Pitre as “an amazing, amazing kid”. 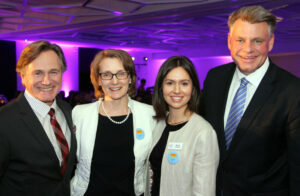 McGahan, CEO of InterRent REIT and president and CEO of CLV Group, was nominated by the Boys and Girls Club of Ottawa for his $1.5 million donation to upgrade the organization’s clubhouse facilities and extend after-school programming for the thousands of children and youth it serves each year. He refused to take credit for the award, though. The award for Outstanding Philanthropic Group went to the Ottawa Dragon Boat Foundation, which has cumulatively raised $4.5 million in support of 50 local charities. It was nominated by the Youth Services Bureau, with festival CEO John Broomanaccepting the award on behalf of all the paddlers. “In the end, we’re just a big family; we’re a community group that bonds together,” said Brooman of the free festival that draws some 80,000 people to Mooney’s Bay. The remarkable young man spoke of being raised in a loving and caring household, and of being taught the five human values of truth, right conduct, peace, love and nonviolence. He wasn’t sure how to apply these values to the real world, until he became exposed to homeless people during his commute to and from his downtown high school, Lisgar Collegiate, and uOttawa. 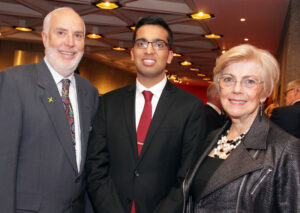 “I learned what a privileged life I live,” said Goel. “I saw the young adults and youth who are struggling to make ends meet and forced to sit on the curb each day, begging in order to survive through our brutal Canadian winters. Attendees also received their own copy of the Giving Guide, a 76-page publication that highlights the giving opportunities in the region and provides resources on best practices and corporate social responsibility. 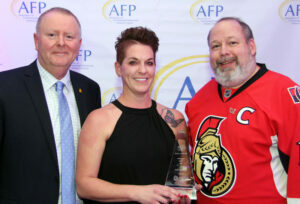 It’s the second year the AFP has partnered with the Ottawa Business Journal and Foundation WCPD to spotlight the professional fundraising community and the value it brings to the city.